Yes, a great Bohol event! An event of a lifetime! Who of you have attended a canonical erection of a church? 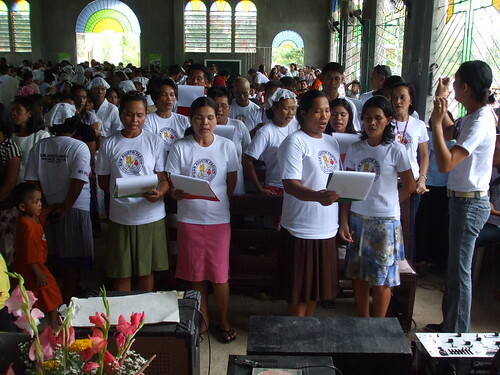 In a lifetime, it is seldom that one can attend such an event for churches in Bohol have been established into parishes centuries ago with only a few chapels turned into parishes since then. Who would have imagined that one would be erected in my own neighborhood? 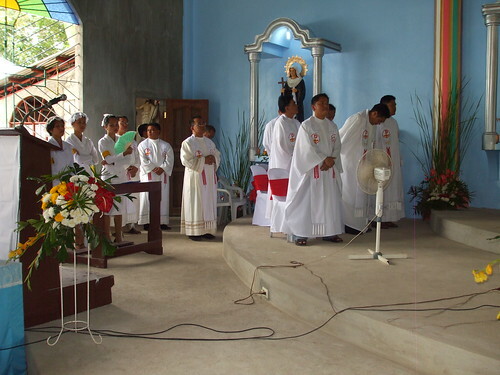 On August 28, 2009, the feast day of our barrio, I witnessed the canonical erection of our chapel into the Saint Augustine Parish Church. Pure luck or pre-ordained! I was not supposed to be there for I was to attend a PTA (Parents-Teachers Association)Meeting at my children’s school at San Jose National High School. A concelebrated Mass was scheduled at 9:00 a.m. yet I attended an earlier Mass (just so that Saint Augustine will not get angry with me!) to be able to attend the meeting. Deep in my heart I wanted to attend this Bohol event - the formal erection rites, but what can I do? I have to attend my children’s school meeting to show support, and to avoid penalty which I cannot afford financially! After showing myself to two teachers of my 1st and 2nd year high school kids and getting their grades, I proceeded to the room of my other child who is in 4th year. I don’t know what made me do it (maybe the Holy Spirit whispered in my ears!) but I approached the teacher and asked permission to excuse myself for I have to attend the Canonical Mass. She granted me leave and off I go, running from the room and praying very hard that I be provided with a ride home to be able to attend the Mass on time. Lo and behold, when I reached the main road, the tricycle of my brother-in-law passed by and I was able to hitch a ride. I even have the nerve to ask him to bring me to the church first! The chapel was full-packed! The ceremony had started. I was a wee bit late. Many were already sitting outside the church and more were standing. I looked for my husband who just came from work and was attending the ceremony. I found him sitting in the front row, the first pew in front of the altar, busy taking pictures of the proceedings. And he had no one beside him! God reserved for me the front seat! 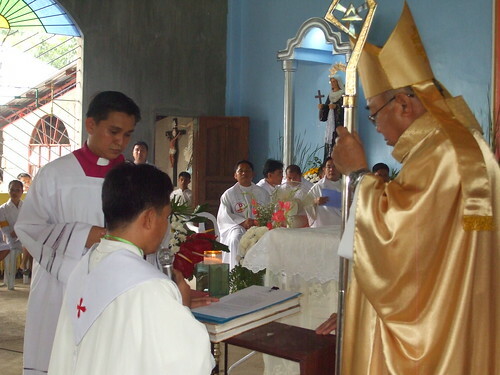 The Mass was officiated by no other than the bishop of the Diocese of Talibon, Msgr. 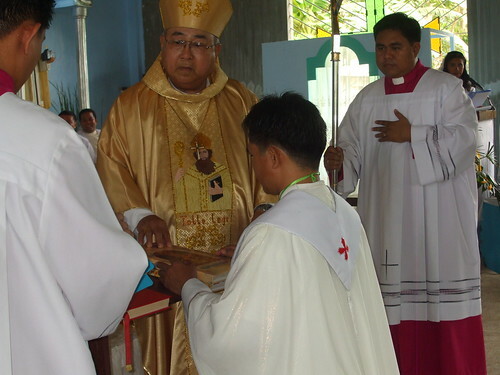 Christian Vicente F. Noel accompanied by the priests of the Diocese and some visiting priests. The rite for the canonical erection was integrated within the Mass. Every part had its significance. Every detail important! This is one of Bohol's greatest events! Worthy of documentation! 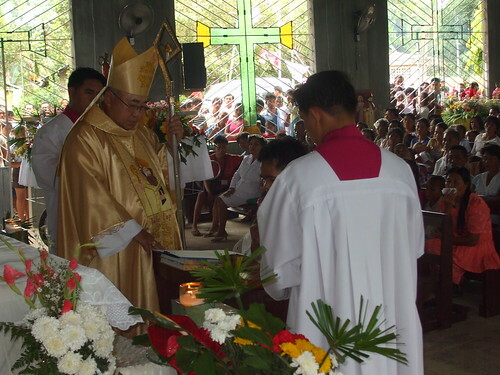 The first part of the rite for the canonical erection of the parish was the reading of the petition letter by Msgr. 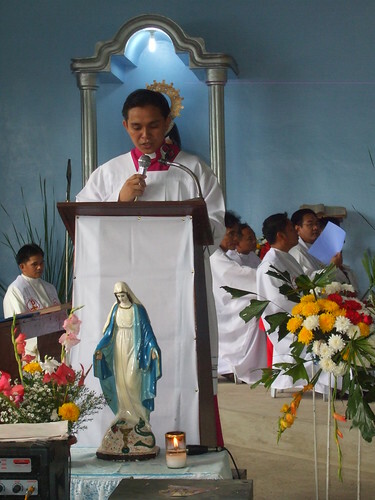 Ignacio Reyes, the parish priest of the mother parish asking for the erection of a new parish which would encompass the barrios of San, Agustin, San Roque, San Carlos, Sikatuna, Zamora and Magsaysay. 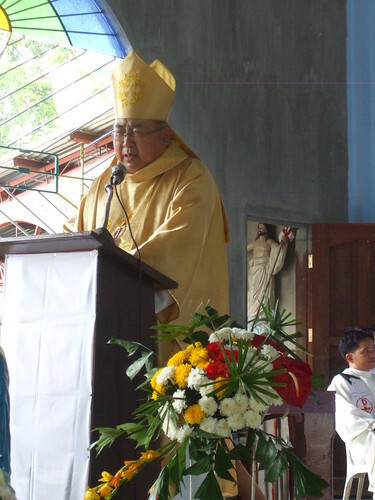 The Decree of Canonical Erection was then read by the Chancellor of the Diocese, Rev. Fr. 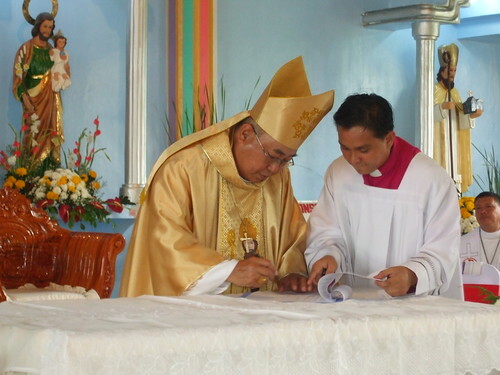 Antonio B. Tutor, Jr., followed by its signing by the bishop. 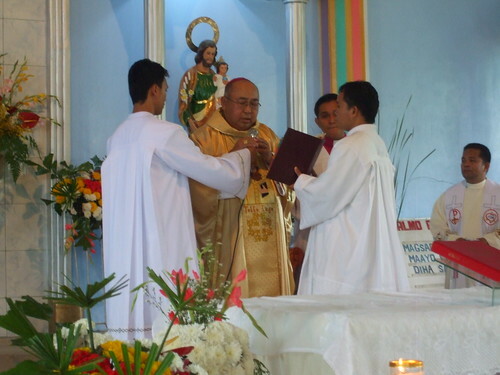 The second part was the installation of the Parish Priest, Rev. Fr. 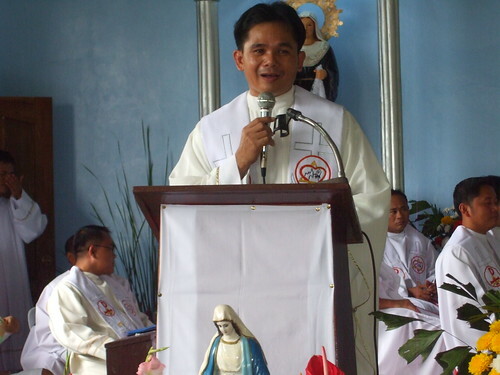 Avelino T. Plete as the first Parish Priest of the newly erected Parish of Saint Augustine; done by first reading the Letter of Appointment then the rite of turnover of the Presider’s Chair, the lectern, the altar, the tabernacle, the confessional box and the key. The baptismal font would have been included yet it still has to be made. The Presider’s Chair is the place for the leader of the liturgy. It is the symbol of his headship over the liturgical gathering and his duty to lead the people of the parish to prayer. 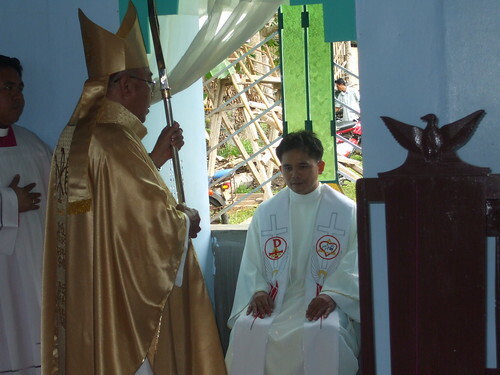 The authority of the Parish Priest, symbolized by the chair, is vested upon him by the Bishop who is the Head of the Diocese. Only one Presider’s Chair to head only one gathering of the people of God. 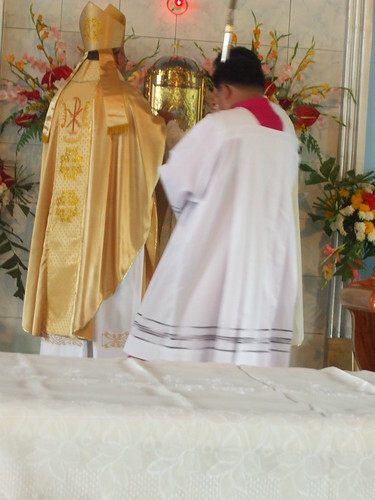 Active participation in the celebration of the Holy Sacrifice of the Mass includes the keen listening to God speaking to us through the Holy Bible in order to have life and to grow in the faith. 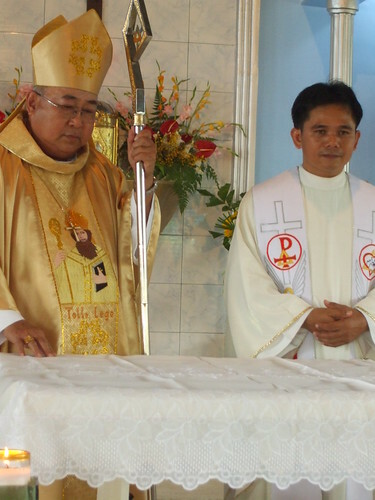 The Lectern or place where the Word of God is read is a symbol for all as the Table of the Word of God and shows how dignified and holy is the Word of God. Only one Lectern in the church to represent only one Word of God. The Altar is the Table of God and of the people of God called to gather together. 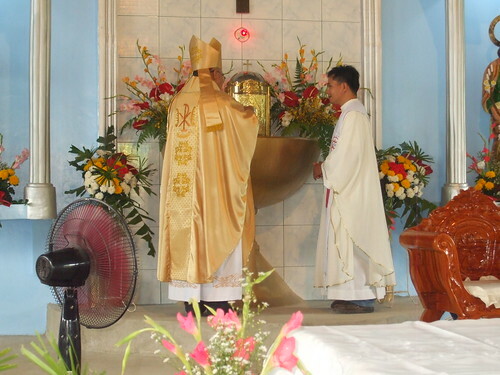 At the altar, the sacrifice of Christ at the cross is manifested and symbolized in the Sacrament of the Eucharist which is the center of thanksgiving. 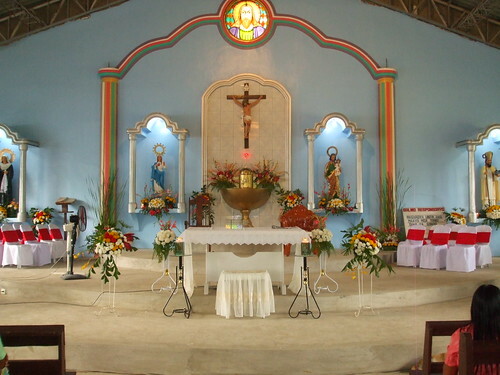 Only one altar for there is only one gathering of the people of God; one Savior Jesus Christ and one Holy Mass of the church. The first and foremost reason for keeping the Holy Body of Christ is to have it ready for the sick and the dying or in other words, for the Viaticum. The second reason is for us to worship our Lord Jesus Christ in the Holy host. It is then a mandate that each church should have only one Tabernacle. The light that is forever shining near the tabernacle shows the respect we have for the presence of God; and the veil tells us that God is present inside the tabernacle. The right place for confession is the church and not outside the confession box without due reason. The confession box proves the clear truth that confession and the giving of forgiveness is part of the liturgical movement where the whole church wishes for the renewal of every faithful. The Key to the House of the Priest. The key signify that from this day onward, the Parish Priest will reside in the house that the faithful have built for him. The private life of the priest and of those who will live with him should be respected. 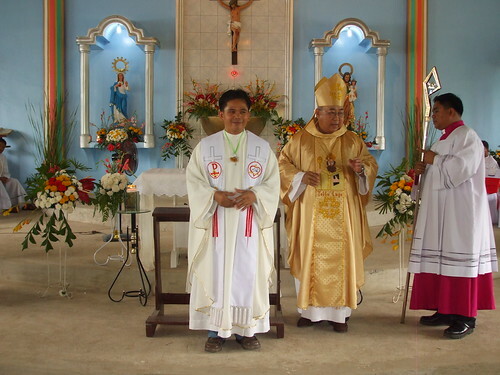 The libros canonicos and the inventory of all the property of the church and convent was also turned over to the Parish Priest. 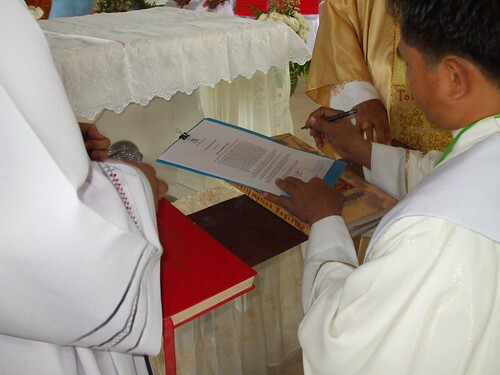 This shows that the Parish Priest is the caretaker of all official documents and property of the Parish. 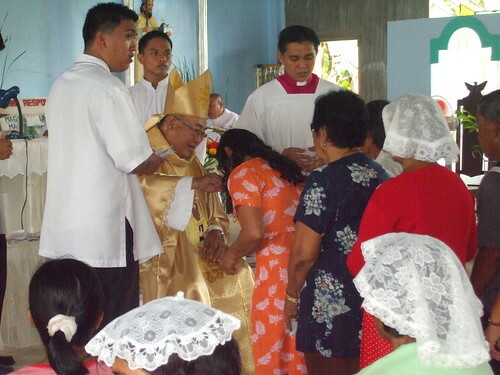 After the turnover, the new parish priest then kneeled in front of the altar and recited the Profession of the Faith before the installing Prelate; after which, Fr. Junjun, the Chancellor, assisted him in signing the document of profession. The Homily was then given by the Bishop. 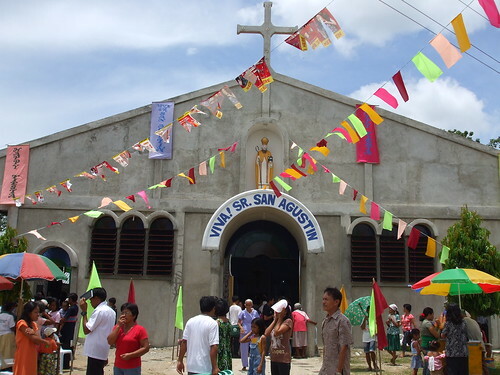 It was a long homily wherein the Bishop exhorted the faithful present to serve God, calling into mind the example of Saint Augustine of Hippo – the patron saint of the newly erected Parish and whose feast day was celebrated that day. 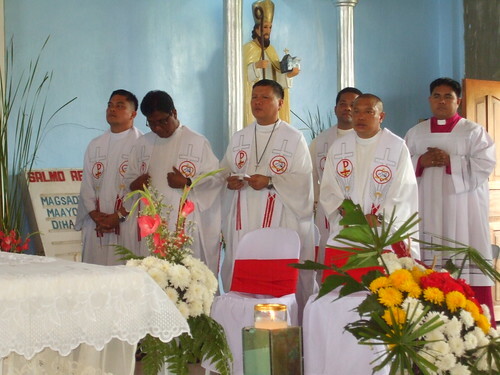 The faithful of the new parish were also urged to support their pastor and the needs of the Parish itself by their heartfelt and voluntary contributions and moral assistance. Right after communion, the Act of Canonical Erection of the New Parish of Saint Augustine was read by the Chancellor. 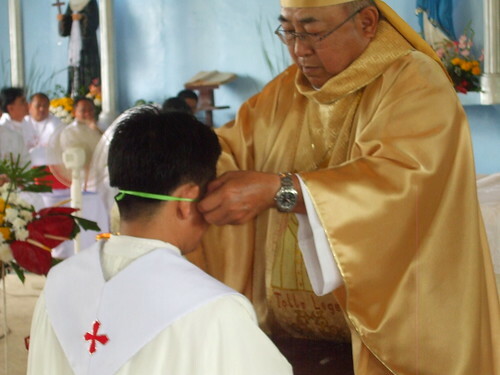 After the historical reading of the Act, all the official documents of the Parish will be under the new Parish Priest using the parochial seal. Truly, a great Bohol event! Even Fr. Billy, the newly installed priest said that in his lifetime, he has not yet attended a canonical erection of a church. And he a priest at that! What more of us lay folks?! With the final blessings of the Bishop ends the canonical erection of the Parish of Saint Augustine. 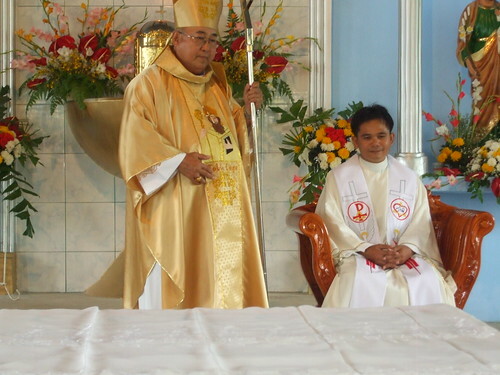 Yet, it ushers in a new beginning for both the new Parish Priest and his flock; a time for the strengthening of relationships . . . renewal for all...so that hurdles in the near future will be overcome together.... with God’s ever loving presence and graces! Viva Sr. San Agustin!